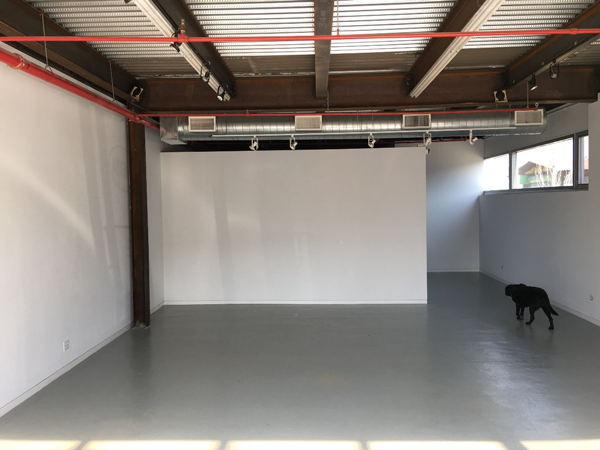 As of this Monday, April 15, 2019, I am officially moving to our new space in the Terminal Markets Building, 1st Dibs Gallery, 269 11th Ave., 7th Floor, in Chelsea, NYC, 10001. 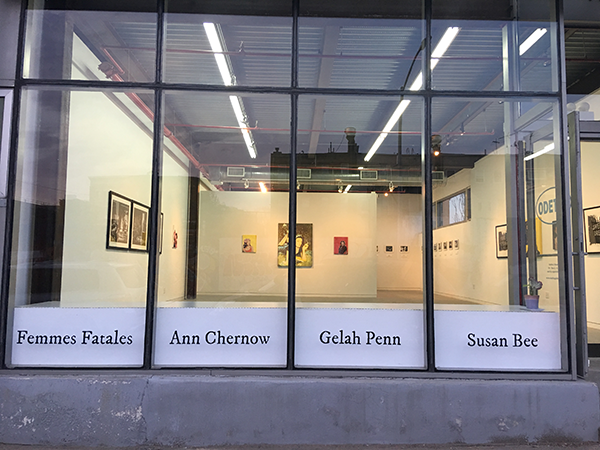 Opening the gallery in Bushwick in early June, 2014, I was welcomed into this vibrant neighborhood by my colleagues with open arms. I’ve enjoyed the energy and enthusiasm, as well as the intellectual rigor, of my peers here in Brooklyn. Thank you all for your support and friendship as I learn the ropes of being an artist/gallerist. ODETTA offers curated, interdisplinary events that include an expansive roster of composers of experimental music, dancers, poets, and readers curious about the works of James Joyce. Since opening June 1, 2014, I have met and exhibited or produced events with over 150 artists and performers. Creating a focus for entertainment, where visual art is the primary actor, allows viewers to slow down, sharpen their senses, and pay close attention to a non-verbal cue, packed with intention and meaning, that’s made, most often, by hand. 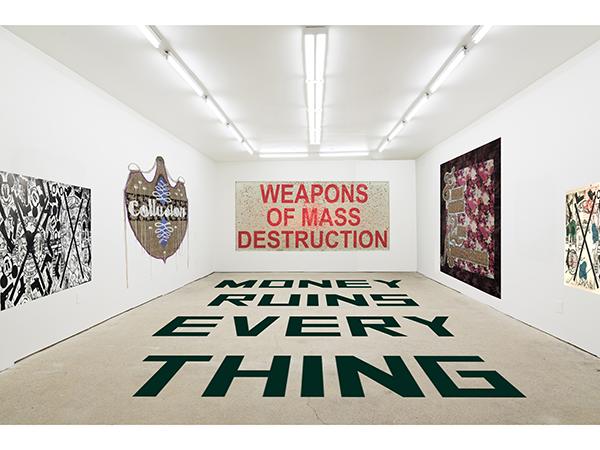 The works of art range from formal, color-focused works, to geometric abstractions, to politically charged, yet playful, message-based sculptures and assemblages. When putting together diverse works of art to create a larger conversation and having the selected artists meet, often for the first time, I’ve enjoyed seeing the birth of many new friendships and collaborations develop long after the exhibition comes down. Connecting people and building a community of passionate artists is my joy. 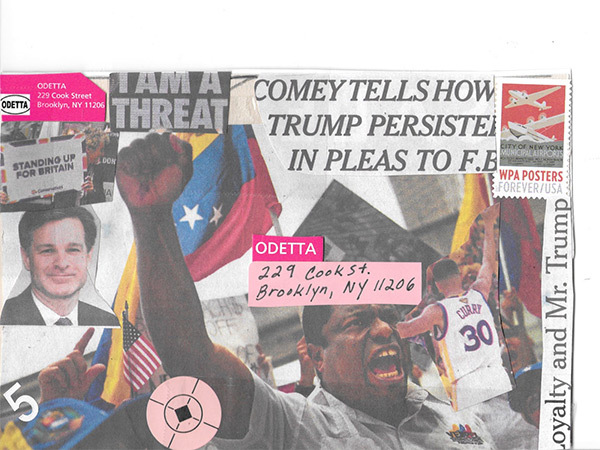 ODETTA’s exhibitions have been reviewed in The New Criterion, Artillery Magazine, Brooklyn Magazine, and Hyperallergic, Two Coats of Paint, and several other blogs. Public commissions include Coach’s flagship store on 5th Avenue and David Yurman Jewelers’ showroom in Tribeca. Fagan’s exhibitions have traveled to Real Art Ways in Hartford, CT, The Flux Art Fair at Marcus Garvey Park in Harlem, NYC, which created pathways for artists to develop public sculpture and performance with the New York City Parks Department. I've also had the gift of help from so many of you as I moved through the exhibits, seeking to expand the range of installation practices, while offering a space that was prepared for each artist upon arrival. Thank you for being so consistently professional. It's been such a pleasure. Our growth together as artists will continue in the new space. I'll be eager for your input. I’m happy to report that my learning curve as an artist/gallerist is still at a steep vertical, which keeps me open to trying new ideas. Feel free to run your ideas past me. I'm here to learn more about how to make artwork vital in our communities. As I explore the potential of this partnership in a hybrid setting with my online marketer, 1stDibs, I plan to continue to reach beyond my own gallery walls to create satellite projects. 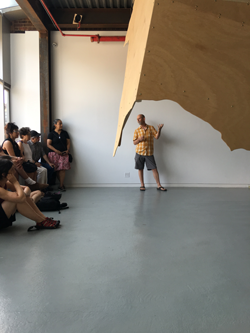 Currently, the gallery will be placing a sound installation by John Morton, Fever Songs, which debuted at ODETTA in the spring of 2018, into Bronx Art Space, slated to open mid-November, 2019. Stop over and see the new space. I’ll be there this Wednesday, April 17, from 4-6 pm with Bob Seng and Emily Berger, as we open their two-person show, Syncopation. 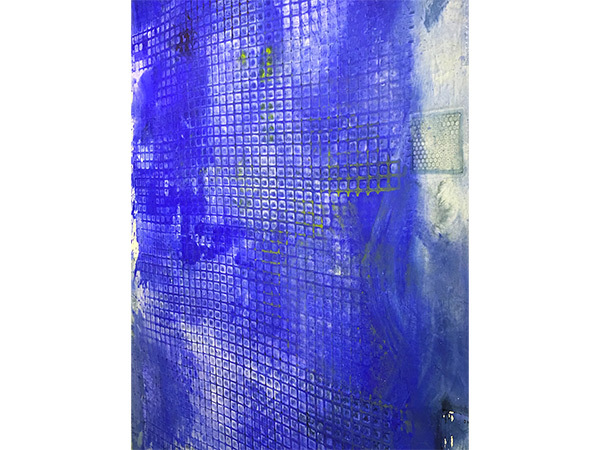 This week I'll be moving my studio and blue world to my home in Greenwich, Connecticut. So if you’re missing my blues, come up and visit. In the midst of this shift, I want to be sure to say Thank You to you all. I hope we continue to build upon the work we’ve begun together in Bushwick. 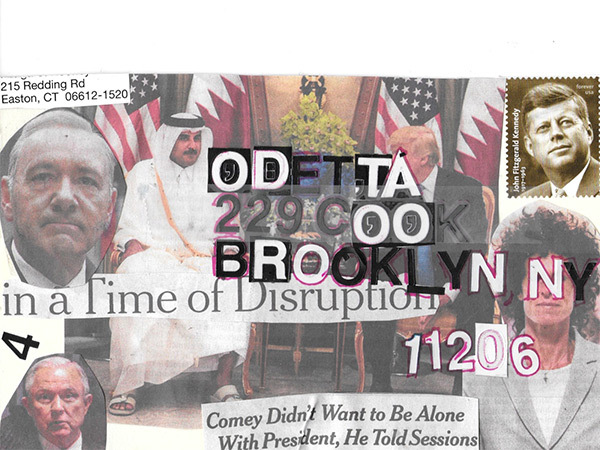 At ODETTA, Bushwick, there will be some extended gallery programming for the next few months with Art Helix and SHIM, as they begin to work with groups of international artists. So we’ll all still have a chance to enjoy that wonderful sun lit space for another group of curators and artists. 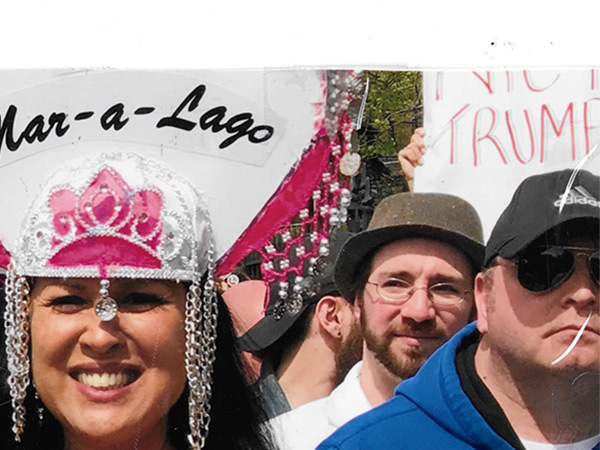 Artrepreneur, Art Business Journal, Audra Lambert, "Women Artists and Art Dealers Forging Ahead post-#MeToo," March 22, 2019. 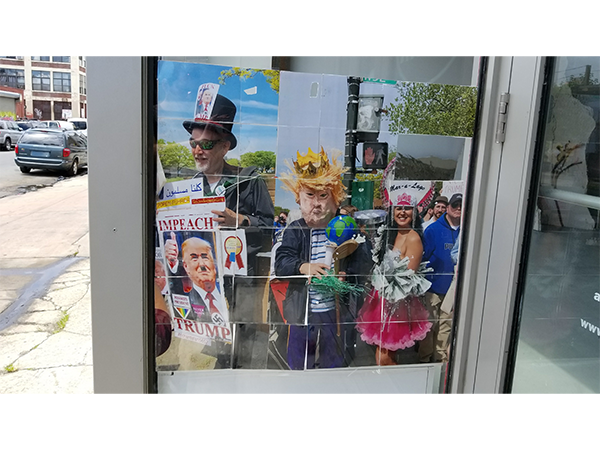 Hyperallergic, "Spring/Break Fair Removes Artwork From Its Windows, Fearing Shutdown," March 8, 2019. ODETTA's going to Spring Break Art Show! 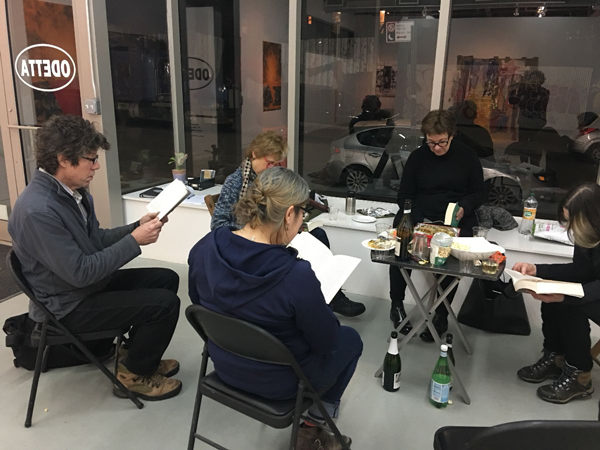 Spring Break Art Show will return for it's 8th annual show during Armory Week with the exhibition, FACT AND FICTION from March 5th - 11th, 2019. 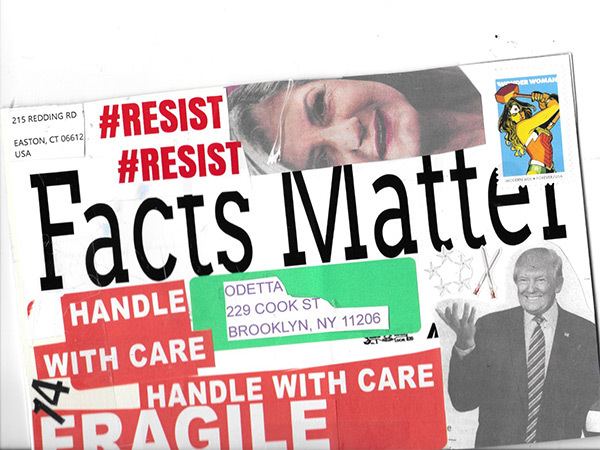 Facts: Alternate presents the work of three activist artists David Borawski,Margaret Roleke, and Rita Valley. 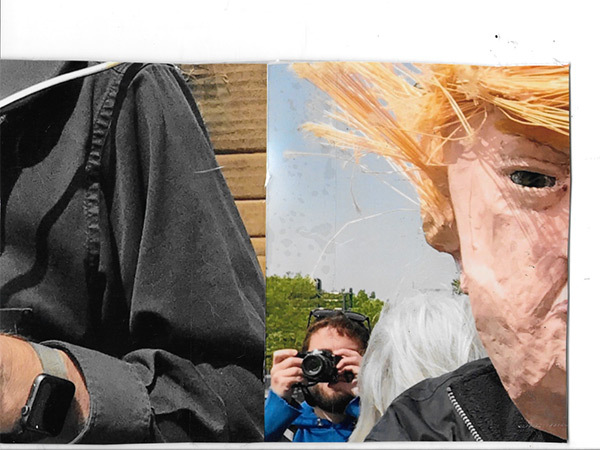 All three artists present works that push backagainst the lies and misrepresentations presented by the Trump administration further amplified by social media. Nancy Baker and Richard Bottwin. Baroque collages on paper. Color is a main ingredient for both artists, who are at the top of their game. appointment with Ellen to meet her in the new space as the gallery floor is fully staffed! 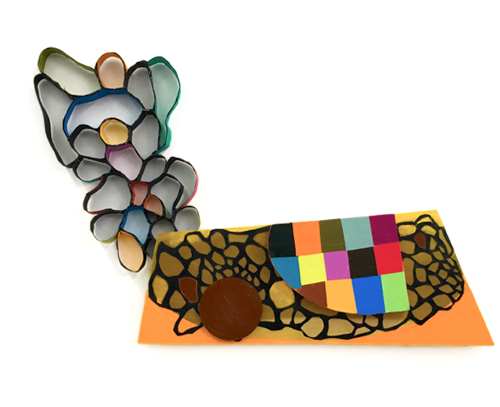 Interactive Installations in collaboration with Jacqueline Shatz Starting November 16th. 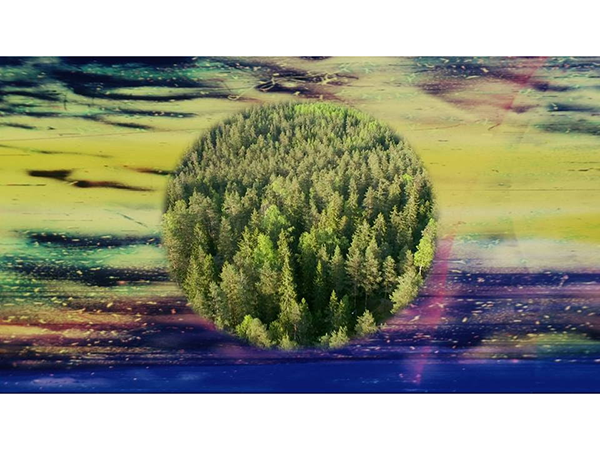 Tip of the Iceberg features work by members of the Helsinki-based Huuto art collective, each addressing the challenges of economically sustainable futures and what we inherit from our collective past. Marjo Levlin, Miia Rinne and Minna Suoniemi will mount video works at ODETTA @ M. David Studio in Bushwick Regular viewing hours: Friday and Saturday from 12-6PM at Stormhouse Projects in Chelsea Friday, Saturday, and Sunday from 12-6pm at ODETTA @ M. David Studio through Sunday, November 4th. This is a new collaboration with ODETTA, M.David Studio and the Galeria Huuto, SHIM and ArtHelix. Seeking sustainability in gallery practice through exchanged spaces both near and far. 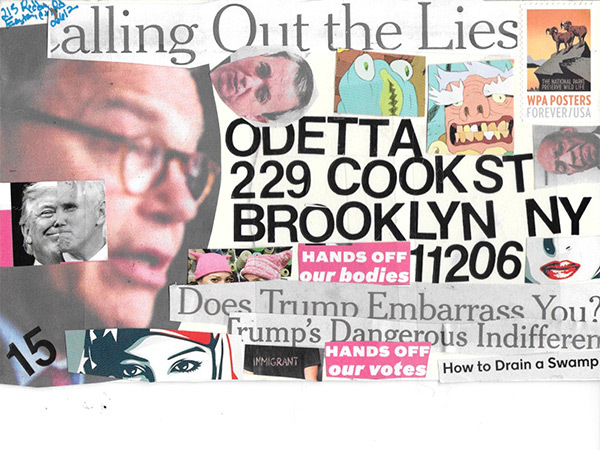 Bushwick Variety Show, Alec Stephens III, "38: Ellen Hackl Fagan: ODETTA Art Gallery," August 13, 2018. Suzanne Benton was the perfect Curmudgeon to close our exhibition last month! Nancy Baker, cool and collected! Another ODETTA artist placed in MSK’s collection is Suzan Shutan. 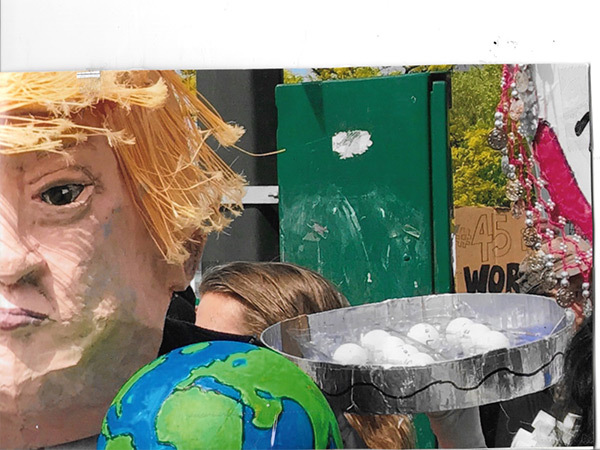 As a part of her plan for creating sustainability, Ellen Hackl Fagan of ODETTA is branching out this year into collaborations with other galleries in New York City and Connecticut. In our current show, Nancy Baker, No Regrets, artist Becca Lowry’s work is featured in our curated Flat Files. 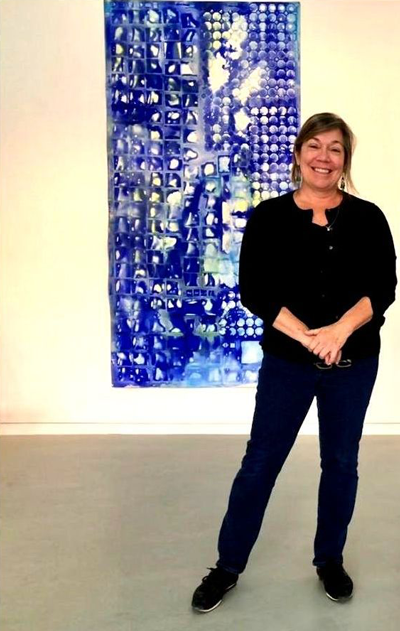 Becca is based in Branford, CT and is represented by Fred Giampietro Gallery in New Haven, CT. Fred has been a gallerist for forty years. 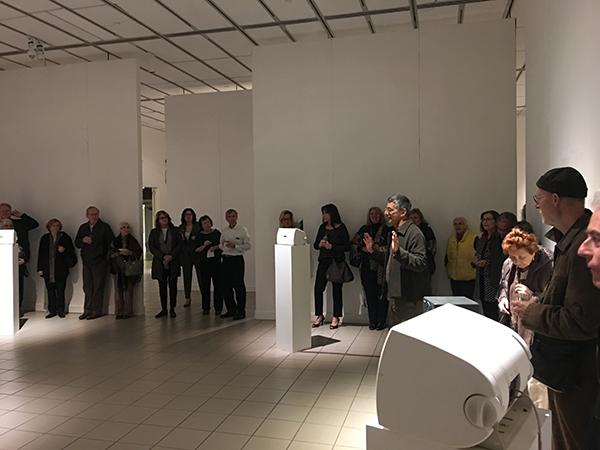 Ellen is thrilled to have an opportunity to share artists with Fred, thereby expanding the exposure for artists in both galleries, as well as having the guidance of an experienced colleague. Becca Lowry’s works are inspired by African and Indigenous American textiles. 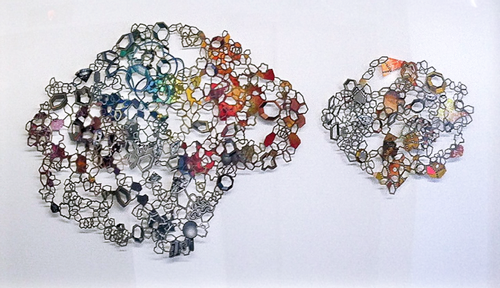 Crafted in carved wood, low relief objects, Becca’s sculptures play off of Nancy Baker’s paper lace-like works. The social underpinnings in both artists’ works resonate with one another. The Flat Files are curated and change with every exhibition. Becca’s work can be seen on our online stores through Artsy and 1st Dibs. Nancy Baker, No Regrets will be on exhibit through April 8. There will be an Artist’s Talk on Sunday, March 25, at 3:00 pm. Next up will be Flower Power, an exhibition of six artists, co-curated with Liz Garvey of Garvey|Simon gallery. Liz Garvey invited Ellen to collaborate on an exhibition and Flower Power was born! Liz will bring three of her artists, Christopher Adams, Daisy Craddock, and Sung Won Yun and Ellen is introducing Jackie Battenfield, Sally Gil, and Mel Prest’s works to Liz’s audience. This exhibition will open March 29 and runs through May 5, 2018 at GarveyISimon in Chelsea. 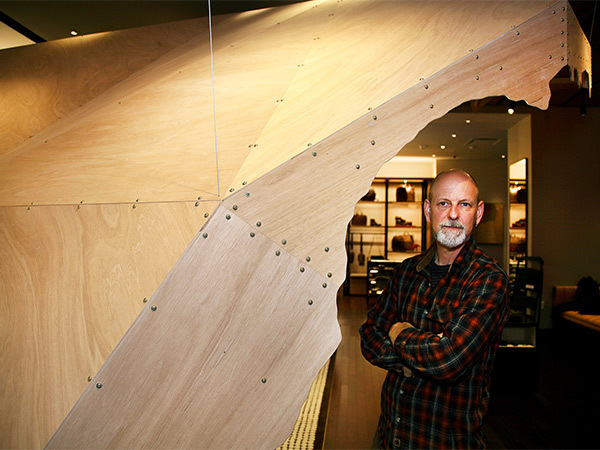 Thomas Lendvai receives a large-scale sculpture commission for David Yurman's Men's Noumenon Collection. 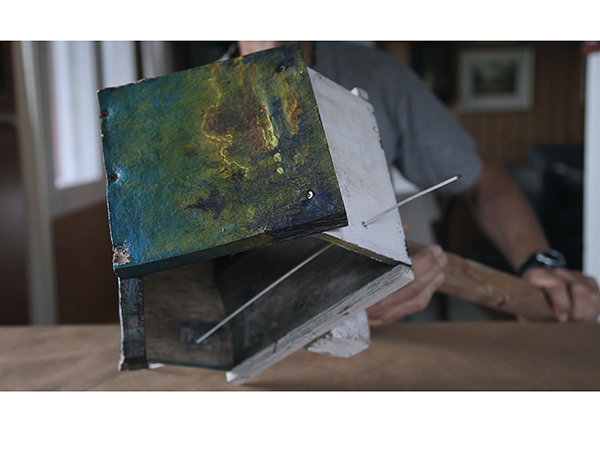 Kurt Steger has been awarded an NYSCA/NYFA Artist Fellowship in Sculpture Congratulations Kurt, a committed artist. 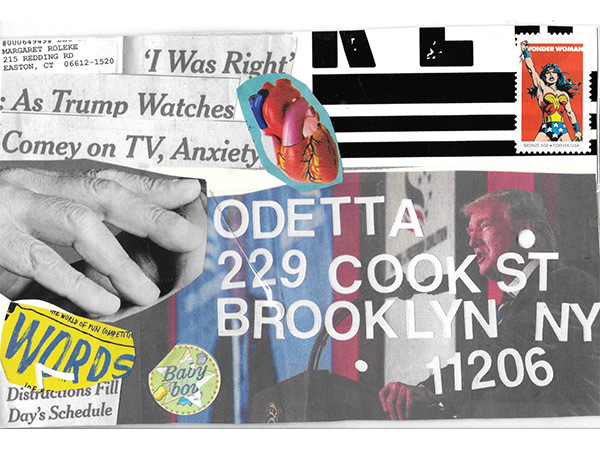 We will enjoy Kurt's third solo exhibition at ODETTA this fall season. 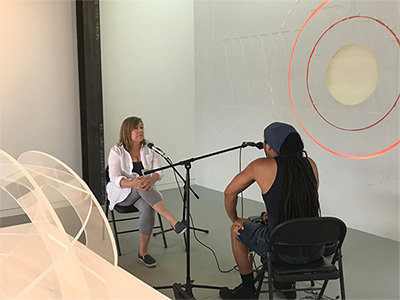 For the past 31 years, NYFA has awarded fellowships of $7,000 to individual originating artists living in New York State and/or Indian Nations located in New York State. NYFA is committed to supporting artists from diverse cultural backgrounds at all stages of their professional careers. In 2017, NYFA awarded 92 grants to 95 awardees with 3 collaborations totaling an amount of $644,000. NYFA is pleased to announce that the name of this award has changed to NYSCA/NYFA Artist Fellowship. 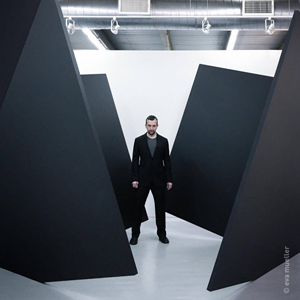 NYSCA/NYFA Artist Fellowships are administered with leadership support from New York State Council on the Arts with the support of Governor Andrew M. Cuomo and the New York State Legislature. 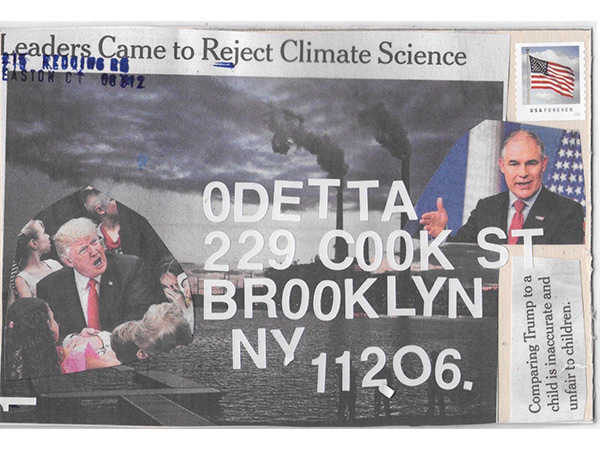 “In Protest We Trust” is a mail art piece created by artist Margaret Roleke. 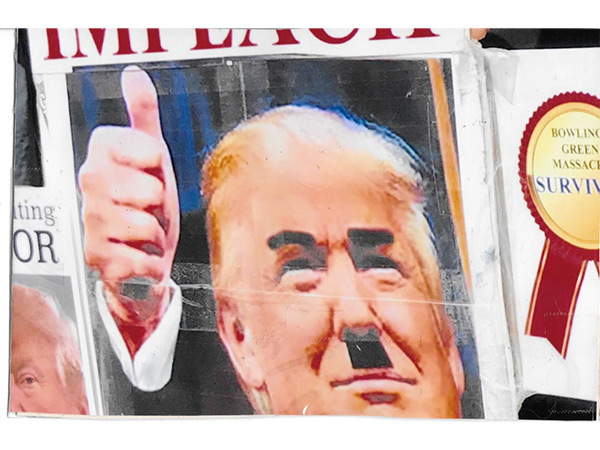 The election of Donald Trump with his rhetoric of hatred and prejudice, and dishonesty, has inspired people to take to the streets and express their opposition. 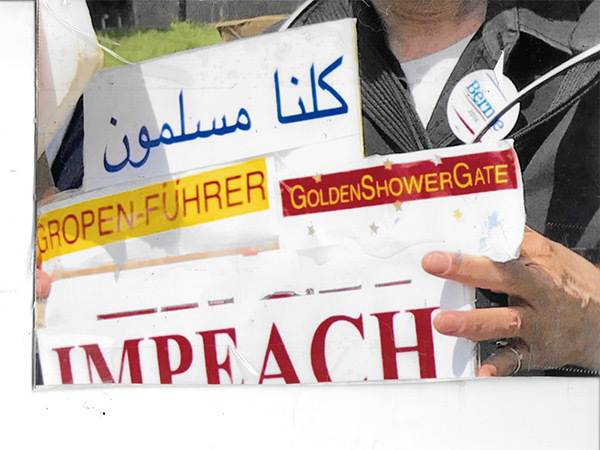 Roleke has participated and also documented these protests. 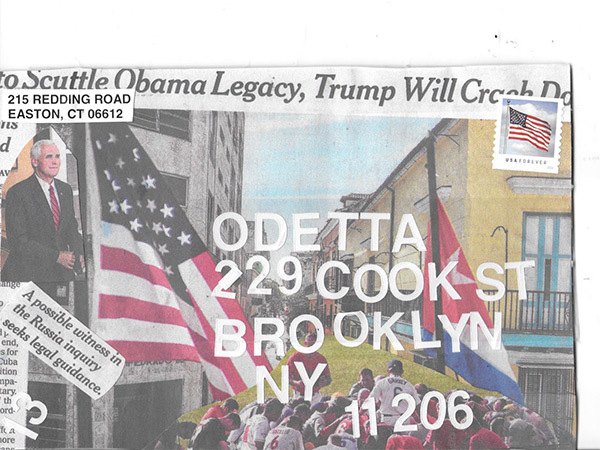 Daily starting on June 4th and going through mid-summer Roleke will mail postcards to ODETTA which come together as a puzzle revealing a photo montage on one side and collages based on the news of the day on the other. 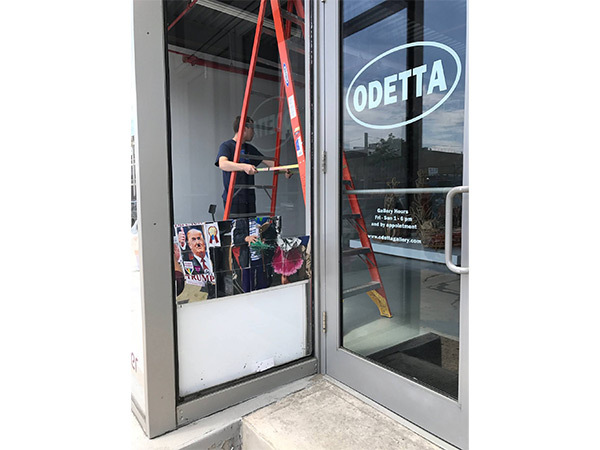 The cards will be taped to the side window of ODETTA and the complete image will slowly be revealed over time as the postcards arrive. Margaret Roleke is a sculptor who also creates prints and “mail art”. She has lived and worked in New York and Connecticut for most of her life. 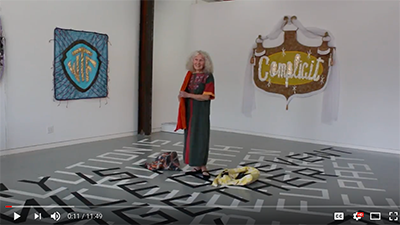 Her work has been exhibited often.In 2017 her art has been included in exhibits at the Hewitt Gallery at Marymount Manhattan College, Walter Wickiser Gallery in New York City, Art Space New Haven, the Art and Cultural Center of Hollywood, Florida as well as other venues.She has been reviewed in The New York Times, Hyperallergic,and other publications. Roleke is committed to gun control and donates a portion of all sales to organizations that work for this cause. 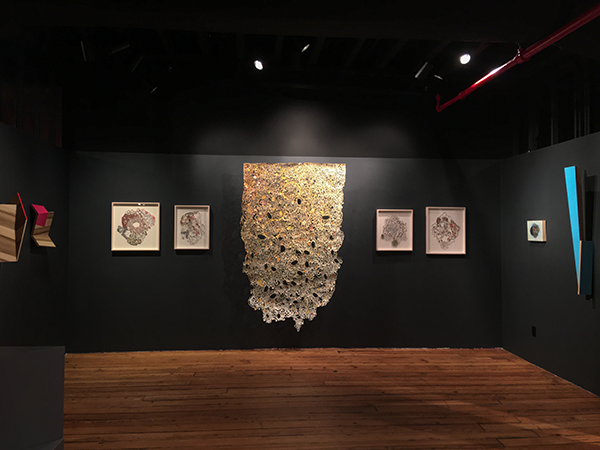 Join us for a special event featuring the artists of ODETTA gallery’s River Woman exhibition, and Paul Gallay, President of Riverkeeper, on Sunday, April 23rd beginning at 3:00 pm. 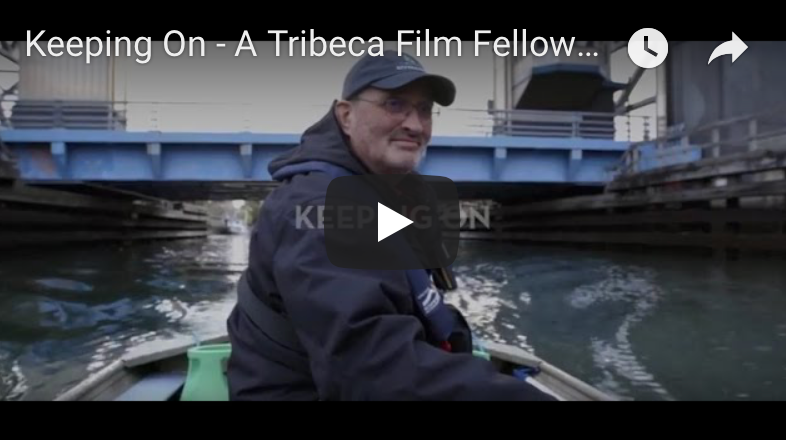 Learn about Riverkeeper’s work to protect and preserve the Hudson River, its tributaries and the drinking water for millions of New Yorkers. 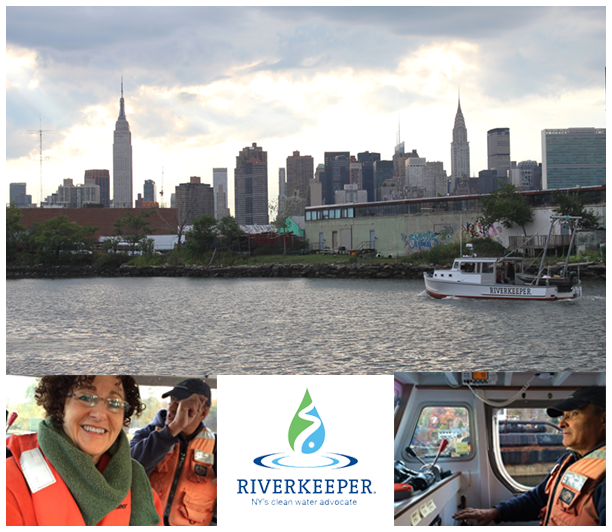 Attendees will also hear about the work Riverkeeper is doing on Newtown Creek and the Gowanus Canal in Brooklyn and throughout the City to engage and activate communities along the diverse waterfronts of New York. NYC Water Quality Project Coordinator, Chrissy Remein will also speak about their efforts to protect our drinking water. 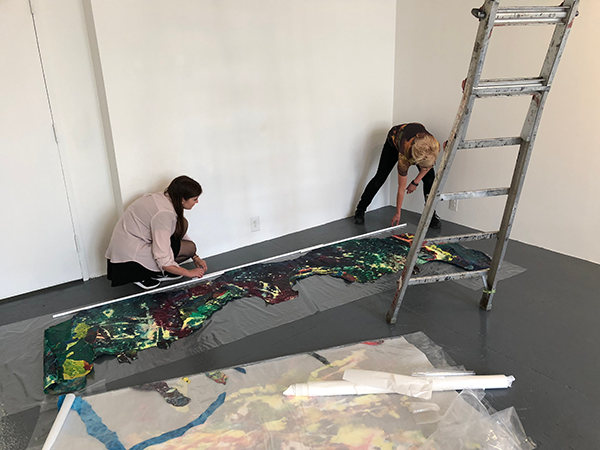 ODETTA gallery director Ellen Hackl Fagan as well as the artists of River Woman will be on hand to discuss and explore the intersection of art and the environment. Guests will be able to see water and local waterways through the eyes of these exceptional artists including: Nancy Cohen, Fritz Horstman, Ellen Kozak, Kathleen Vance, Caetlynn Booth, and Deborah Freedman. Elemental, universal, sustaining, beautiful, dangerous, the river and the woman merge and become one entity. Sharing a deep passion for the River Woman, our artists express their awe while raising awareness of the fragility and the amazing resilience of the rivers in our lives. River Woman will be on exhibit at ODETTA gallery from March 17, 2017 – April 30, 2017. A portion of the proceeds from the sales of the artists’ work will directly benefit Riverkeeper. Boat Captain John Lipscomb, President Paul Gallay and Robert F. Kennedy, Jr. discuss Riverkeeper's mission and history. What Does Blue Sound Like? 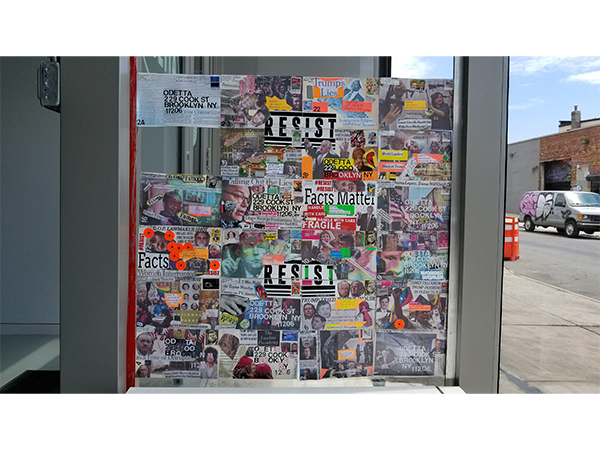 The Art Collection at Mid-Manhattan Library presents the site-specific exhibition What Does Blue Sound Like by artist Ellen Hacki Fagan. This exhibition features the Reverse Color Organ (RCO) with an interactive web app that viewers can download to their iPhones or Droids. Their phones become a synaesthetic tool, enabling them to explore their own unique opinions about the sounds of colors. The artist hopes to have over 150,000 submissions from visitors to the website. To play load this address into your browser http://www.rcoblue.com. 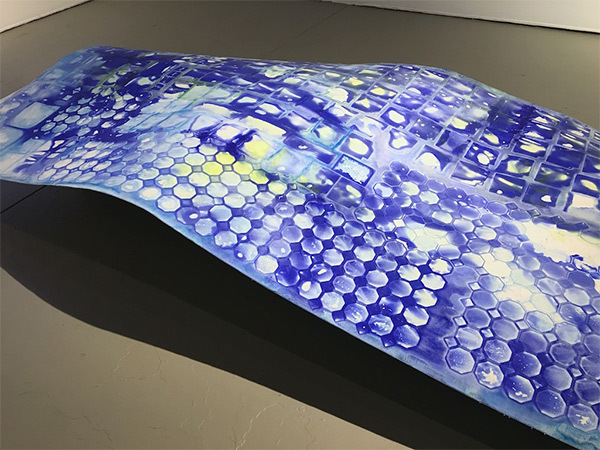 Ellen Hackl Fagan, What Does Blue Sound Like?, site-specific installation and details, 2017. 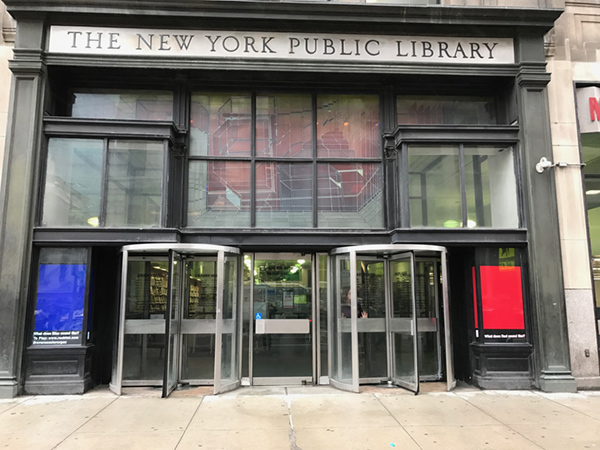 Mid-Manhattan Library Windows. Plexiglas, flourescent lights, foam board. ODETTA is pleased to announce that the gallery is now representing Kurt Steger. In his newest series Scribing the Void and Urban Structures, Kurt continues to preserve the disappearing landscape while offering protection for the sacred within each of us. Kurt's newest sculptures, Urban Structures, The Bed Stuy Series are on exhibit at ODETTA in the studio space through February 26, 2017. 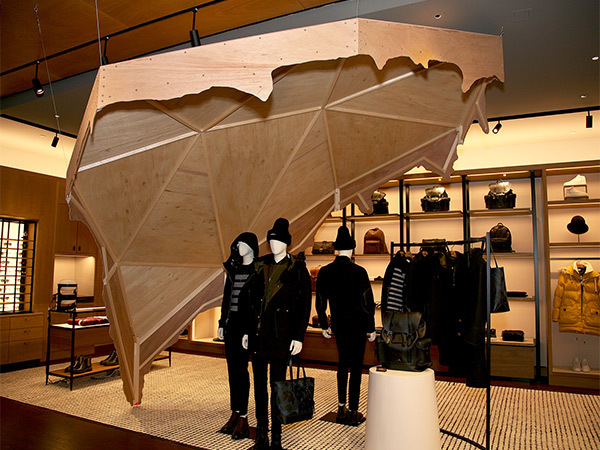 Kurt Steger’s monumental sculpture, Scribing the Void, has been acquired by Coach,Inc., a leading New York design house of modern luxury accessories and lifestyle brands.On Friday, November 18, 2016, Coach will celebrate the opening of its newest flagship store, Coach House, in one of the world’s most prestigious shopping districts at 685 Fifth Avenue in New York City. Coach was established in New York City in 1941, and has a rich heritage of pairing exceptional leathers and materials with innovative design. The acquisition of Kurt Steger’s Scribing the Void, creates a link to Coach’s New York City roots as the sculpture features a line traced from the surface of an iconic rock formation in Central Park. Scribing the Void, originally premiered at ODETTA this past summer. 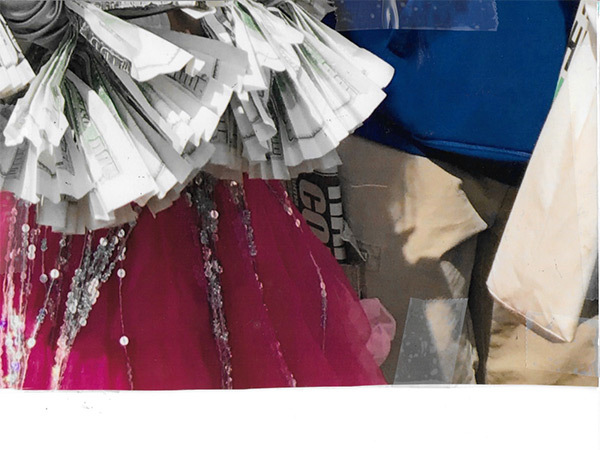 The sculpture was also selected to travel to Real Art Ways, a renowned alternative art space in Hartford, CT. This powerful work of art was recreated for Coach House from the original templates that Kurt used to trace Umpire Rock in Central Park. Paying homage to the handmade is a perfect fit for Coach, Inc.’s philosophy. 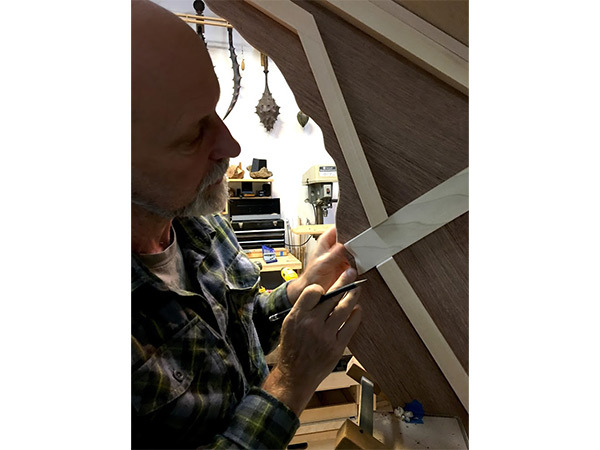 Kurt uses carpenter’s tools and sculpts and finishes each panel of this twenty-foot sculpture entirely by hand. 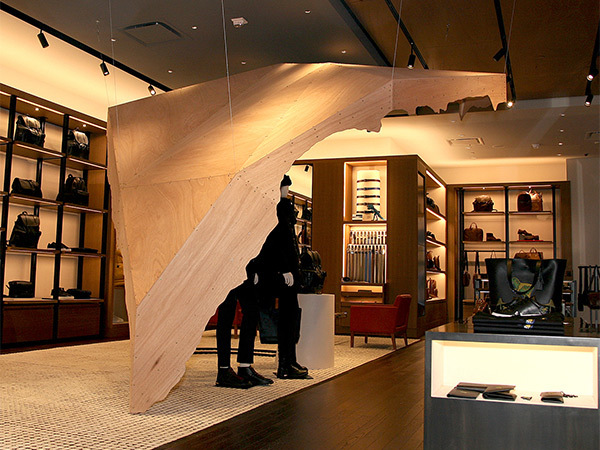 This flagship store will open to the public on Friday November 18. Scribing the Void can be viewed on the third floor, gently suspended within this new space. ODETTA is now representing Kurt Steger. As we move into our third year, we are pleased to announce that we are selecting key emerging and mid-career artists for representation. Scribing the Void is a monumental sculpture transcribed from a Central Park boulder and initially installed at ODETTA gallery in Brooklyn, New York. This monumental sculpture was originally oriented in the exact north-south level line and elevation as it would sit on this iconic boulder. The sculpture moves almost imperceptibly with the air currents in the gallery. 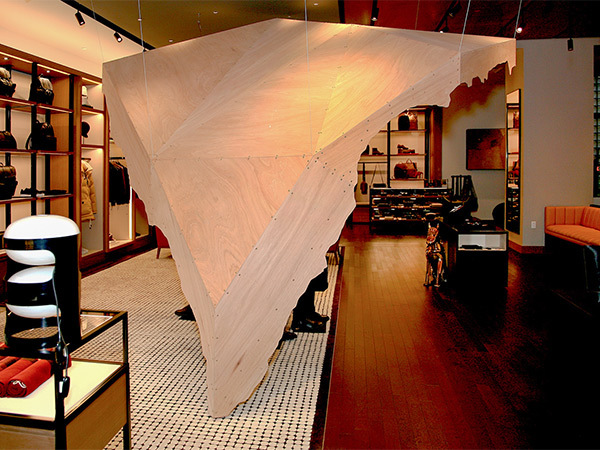 The scribe line was achieved after multiple trips to the Central Park site, methodically tracing and cutting the shape of the boulder’s surface onto chipboard templates, resulting in 82 linear feet of a single contour line. 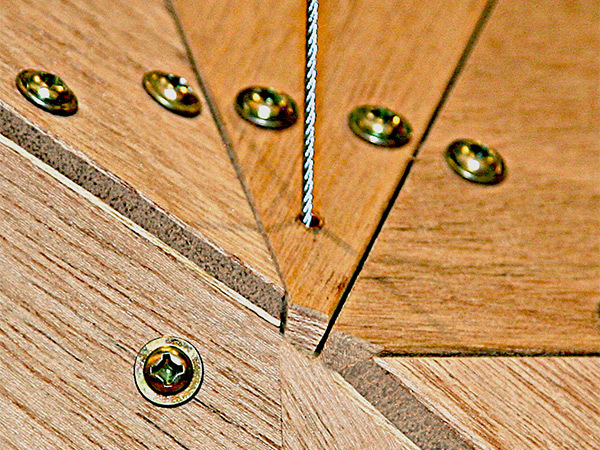 This line was then copied onto the wooden superstructure that was transported and reassembled at the gallery. The composer RSM was invited to create a score that was composed by placing the scribe line of the boulder onto a musical staff, effectively writing the song of the rock. RSM then took these notes and recorded the composition. The Byzantine-inspired sounds of piano, violin, drum, and voice permeate the empty space. A recent pilgrimage to Mt. Kailash in western Tibet inspired much of Steger’s conceptual thoughts behind the sculpture: materiality versus immateriality, questions of time and space, and perceptions of memory beyond the familiar senses are addressed in Scribing the Void. The scribe line represents the divide between spirit and matter, the line between birth and death. Void speaks of loss, our severed connection to nature, community and ancestry, separation from our inner lives, and the mystery of existence. Scribing the Void has also been purchased and re-created for Coach Inc.'s new flagship store Coach House at 54th St. and 5th Avenue in NYC. This sculpture and concept is now enriching a broader audience while being exhibited in two locations concurrently. 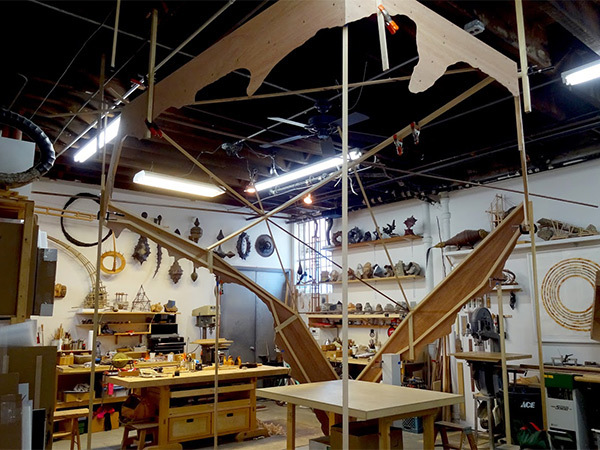 Real Art Ways, in Hartford, CT is a mainstay institution in New England, at the forefront of alternative multidisciplinary arts and innovative exhibitions, now celebrating its 40th anniversary year. Real Art Ways is open daily 2-9 pm, and by appointment. 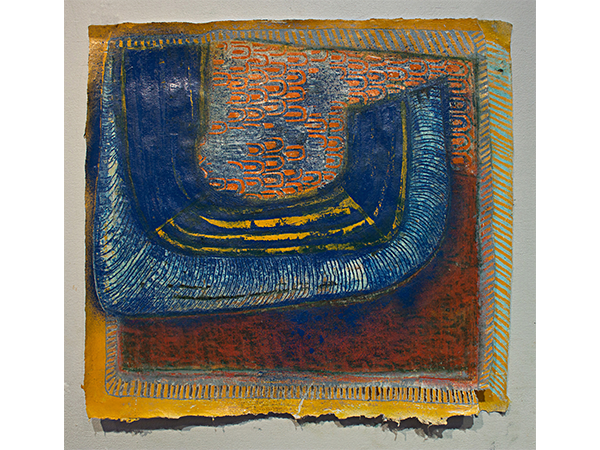 Into the Blue Again, is a solo exhibition of Hackl Fagan's large-scale watercolor/pigments on paper. 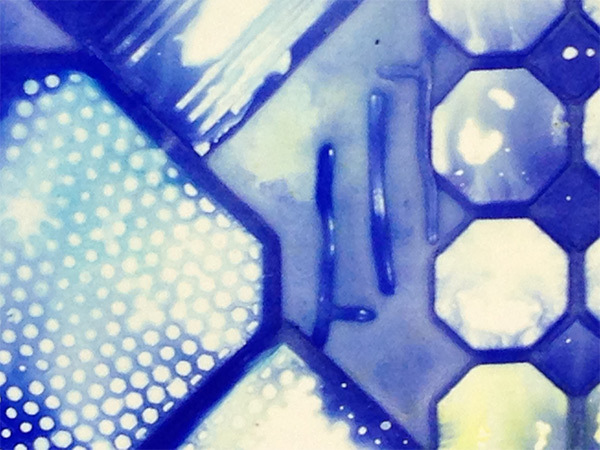 This series explores the nature of printmaking processes, texture and surface manipulation inspired by the sound of cobalt blue. Her process walks the balance between randomness and intention, like jazz music, revealing limitless possibilities for improvisation. 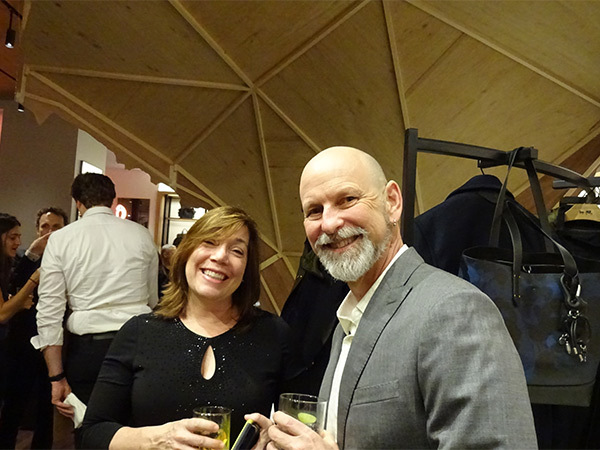 Creative Cocktail Hours are a time to enjoy the galleries and all that the Hartford creative community has to offer. $10 admission enables you to try new custom drinks, live music, and great food all under one roof while meeting the artists exhibiting in all the galleries. Real Art Ways, in Hartford, CT is a mainstay institution in New England, at the forefront of alternative multidisciplinary arts and innovative exhibitions, now celebrating its 40th anniversary year. 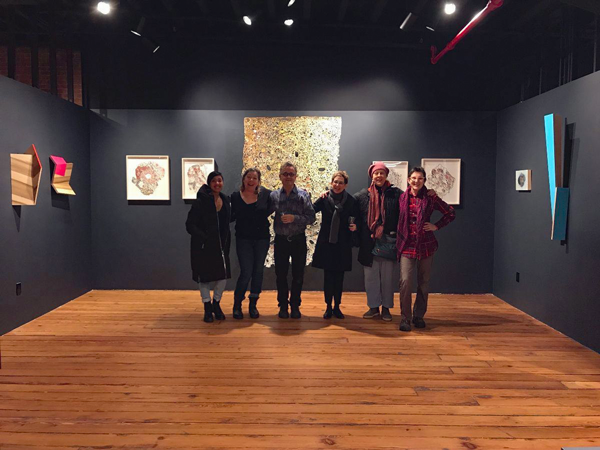 There are four galleries exhibiting artists' works, three solo exhibitions, and one group exhibition, curated by David Borawski. 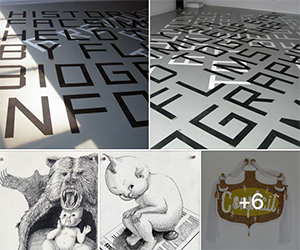 Kurt Steger's Scribing the Void, presented initially at ODETTA this past summer, is also a solo exhibition. Real Art Ways is open daily 2-9 pm, and by appointment.